He was born October 28, 1943, at Champaign, IL, to Dino Spigarelli and Josephine R. Walche. He was raised by Homer and Josephine F. Little. 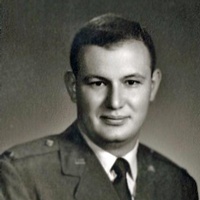 Frank graduated from Shawnee Mission East High School in 1961. After high school he graduated from Pittsburg State University with a bachelor’s degree. On May 27, 1967, Frank enlisted in the United State Air Force. He served in Vietnam and received several military commendations. He was honorably discharged in 1979. On June 11, 1966, he was united in marriage to Mary “Mimi” Schallo. She survives of the home. In addition to his wife Mimi, he is survived by a son, Linden Little of Pittsburg, KS; two brothers, Rick Little and his wife Kim of rural Pittsburg, and Rob Little and his wife Sondra of DeLand, FL; a half-brother, Tony Spigarelli of Minnetonka, MN, half-sisters, Lisa and Jimmy Spigarelli of Leewood, KS, and Mary and her husband Magnus Toren of Big Sur, CA; and several nieces and nephews. He was preceded in death by his parents, grandparents, an infant daughter and a niece. Memorial Mass of Christian Burial will be at 2:00 p.m., Friday, July 27, 2018, at Our Lady of Lourdes Catholic Church, Pittsburg, with Father Jorge Lopez as Celebrant. Private family interment will be at a later date. The rosary will be prayed at 6:00 p.m. Thursday at the funeral home with a visitation to follow until 7:30. The family suggests memorials to the Wounded Warriors Foundation and/or Our Lady of Lourdes Memorial Fund. These may be left at or mailed to the Brenner Mortuary, 114 East 4th St., Pittsburg, KS 66762.